A small archipelago of islands at 62 degrees north between Scotland and Iceland. They have a small population of 48,000 people who are largely dependent on fishing, sheep farming and some, very limited, tourism. 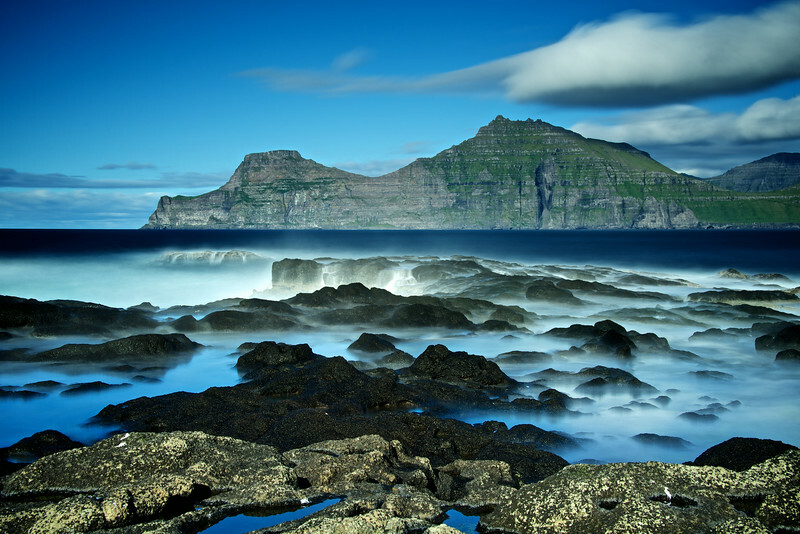 The islands are green and very scenic, being dissected by fjords, surrounded by cliffs and waterfalls are abundant. Houses are brightly painted and provide a wonderful contrast to the basalt rocks and grassy mountains. A place to savour landscapes and indulge in photography which encapsulates the scenery, grandeur and mood of the islands.